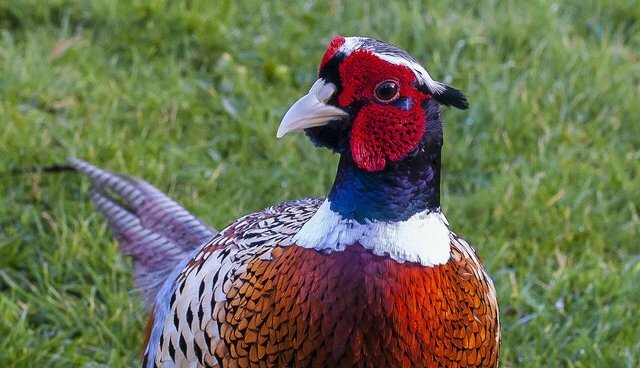 Cross-channel ferry operator Brittany Ferries has stopped shipping pheasant chicks from France to England after seeing a League Against Cruel Sports video showing the cruelty associated with the UK's commercial pheasant shooting industry. Brittany Ferries had been transporting the young pheasants from France where they are bred for the UK's shooting industry. The factory farmed birds end up at shooting estates across the UK where they are shot dead for entertainment. But having seen the animal welfare charity's video depicting the miserable life suffered by the pheasants, the ferry operator has announced it no longer wants to play a part in this cruel business. "We are thrilled that Brittany Ferries has chosen to wash their hands of this bloody business and urge all other ferry companies to do the same. At least 17 million pheasant and partridge chicks are imported into the UK each year just to be fattened up and shot for fun. Birds can be as young as one day old and endure journeys of 20 hours or more. Many do not survive. Those that do are crowded into sheds with hundreds of others where aggressive attacks and injury are common, only to serve as a living target a few months later when shooting season starts." "We're happy to announce that we will no longer allow pheasant chicks to be transported on board our ferries. We feel that this decision is in line with our ethical responsibilities and commitment to the environment, and would like to thank the League for bringing the issue to our attention." The League's "Cruel Game" video was released to coincide with the start of the pheasant shooting season. "The embargo placed by Brittany Ferries is a positive step forward for animal welfare and to stopping this cruel practice. Pheasants suffer tremendously before even reaching shooting estates, being reared on factory farms and shipped many hundreds of miles, in cramped conditions where many die en-route." The League's investigators captured footage at a pheasant breeding farm in France showing adult breeding birds confined in wire-mesh cages, jumping up and down in a futile bid to escape. Their beaks had been mutilated to prevent them attacking each other in the crowded, unnatural conditions. The video shows the young pheasants loaded on a truck and taken to Cherbourg for the ferry crossing. On arrival in England, the pheasant chicks are taken off the Brittany Ferry. They are unloaded at a shooting estate in England some 19 hours after their journey began. The video finishes with pheasants being shot down and suffering drawn-out deaths. 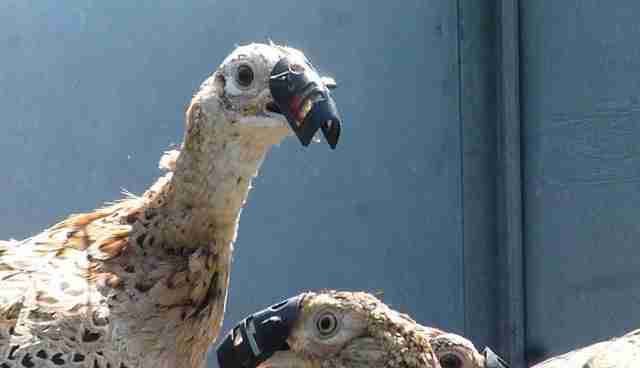 More than 500 birds can be shot on one estate in one day – far too many to be eaten. Many of the dead birds are dumped in makeshift pits along with the spent shotgun. However, Brittany Ferries are not the only transport that these pheasant chicks can be taken on and The League are calling for all follow the lead of Brittany Ferries by ending the transport of pheasant chicks to the UK.